The peeling bark and polished stems of many trees bring beauty to the garden at any time of the year, but are never more apparent than during the winter. Birches (Betula), especially from the Himalayas, have bark in a variety of textures and shades of colour from dazzling white to milky-cream and bronze-pink to coppery-brown. Whether grown as a specimen tree in a lawn or planted in groups, they are a delight during winter months. Grow in low to moderately fertile, moist but well-drained soil in full sun or light dappled shade. Birches are adaptable trees and generally tolerant of exposed and windy sites, dry or wet conditions and even waterlogging. Established trees do not require regular pruning. When pruning is required, prune only when fully dormant from late summer to before mid-winter. Birches bleed heavily at all other times, particularly in late winter. Some nurseries and garden centres will supply multi-stemmed birches ready pruned and trained for planting. However, by planting two or three young plants in the same planting hole you can achieve the same results. 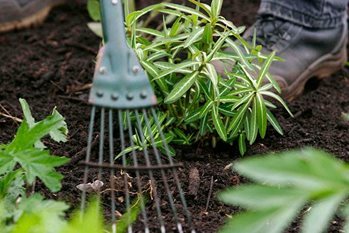 If they are sapling size (up to 1m/3¼ft tall) they should need no staking and you will have more control over the placing and arrangement of the stems. Named cultivars are propagated from cuttings or by grafting. Neither technique is particularly easy for the amateur. Commercial nurseries regard a 50% strike (successful rooting) rate as good for cuttings. Birches can be grafted from late winter to early spring onto Betula pendula rootstock or, in the case of incompatibility, B. nigra. Birches tend to establish quickly and make rapid growth for the first 12-15 years. This will give a feeling of maturity to even relatively new gardens. Betula utilis var jacquemontii ‘Moonbeam’: Possibly the most compact form of the Himalayan birches with white peeling bark & glossy dark green leaves. Height approximately 10m (33ft). B. ermanii ‘Kwanak Weeping’: Spreading, shrubby form grown as a standard to create a beautiful small weeping tree. Cream peeling bark. Good yellow autumn colour. Height 8m (26ft). B. medwediemii ‘Gold Bark’ AGM: Slow growing, compact, small bushy tree with bright yellow autumn colour. Attractive silvery-brown to gold-tinted bark. Height 10m (33ft). B. nigra ‘Summer Cascade’: Small weeping form with pinkish orange, shaggy bark. Height 8m (26ft). B. pendula ‘Youngii’: Beautiful, dome-shaped small, weeping form of the UK native species. Height 8m (26ft). B. nigra 'Cully’ AGM: The river birch, ideal for planting in damp soil, a fast-growing tree with shaggy light brown to creamy bark, heavily peeling in layers when young. Dark glossy green leaves, yellow in autumn. Height 20m (65ft). B. papyrifera: The paper birch, a vigorous conical tree with white papery bark peeling in layers, pale orange-brown when newly exposed. Serrated leaves turn clear yellow in autumn. Height 15m (49ft). The Himalayan and Chinese birches are some of the most visually attractive of trees but not all are white-stemmed – those birches from the eastern Himalaya or western China have bark in rich hues of mahogany or cinnamon. B. albosinensis ‘Hergest’: Beautiful selection from Hergest Croft Gardens. Light copper-brown shiny bark matures to warm orange-brown overlaid with a pinkish sheen. Glossy mid green leaves have butter yellow autumn tints. Height 10-15m (33-49ft). B. albosinensis var. septentrionalis AGM: The northern Chinese red birch has finely flaking coppery-pink peeling bark with a pink & grey bloom and is quite striking. Unusual matt green leaves. Height 10-14m (33-46ft). B. utilis ‘Fascination’: With deep orange satin peeling bark revealing layers of variable colour. Very long spring catkins. Height 10-14m (33-46ft). B. utilis ‘Wakehurst Place Chocolate’: A Himalayan birch selected from the Wakehurst Place Gardens. Bark from an early age is very visible dark cocoa-brown in colour darkest of all the birches. Dark green leaves turn yellow in autumn. Height 14m (46ft). B. ermanii ‘Grayswood Hill’ AGM: Elegant, vigorous, open branched tree with pure white bark flushed pink. Rough shoots produce bright glossy green heart-shaped conspicuously veined leaves with yellow autumn colour. Yellow brown 10cm (4in) long catkins. Height 15m (49ft). B. ermanii ‘Polar Bear’: This cultivar is a stunning winter tree, conical in habit & of vigorous growth. Pure white heavy trunk and branch structure withapered dark green leaves that turn yellow in autumn. Height 20m (65ft). B. utilis var. jacquemontii: Outstanding, hugely popular Kashmir birch with dazzling white shiny smooth peeling bark & stems. Mid green leaves turn yellow in autumn. Height 14-18m (46-59ft). B. utilis var. jacquemontii ‘Doorenbos’ AGM: Sometimes sold as B. utilis var. jacquemontii ‘Snow Queen’ is a strikingly ornamental Himalayan birch cultivar. It exhibits pure-white peeling bark at a young age which contrasts with the dark-green leaves, tinted bright yellow in autumn. Height 14m (46ft). B. utilis var. jacquemontii ‘Grayswood Ghost’ AGM: A cultivar of the Himalayan birch distinguished by brilliant chalk-white bark & very glossy green leaves and autumn tints of yellow-gold. Height to 20m (65ft). B. utilis var. jacquemontii ‘Silver Shadow’ AGM: One of the loveliest of Himalayan birches with bright snowy-white stems & bark and an open branched habit. Large pendent dark-green leaves 13cm long have gold autumn tints. Height 12m (39ft). Birches are attractive as single specimens or in small groups. If space permits, plant a number of different species with differing bark colours and textures to provide contrast. Alternatively, plant several species closely at a spacing of 90cm (3ft). This will result in trees with narrower canopies and conspicuous bark whilst competition at the roots for water and nutrients will restrict the rate of growth and overall height. At RHS Garden, Wisley birches have bark in shades of white, peach and brown. You can find these trees on Battleston Hill, Weather Hill, Seven Acres and down into the Pinetum and Howard’s Field. Bark not showing white or proper colour: It will take a few years for the mature white bark to grow through from the more subdued juvenile bark. Where this has not occurred within six to eight years after planting, it may indicate the tree is not true to type. Bark damage: Deer, rabbits and squirrels may cause extensive damage to the bark of young trees. Clear liquid drips out of wounds or pruning cuts: Sap may ‘bleed’ from stems and branches when the sap is flowing strongly, usually between January and July. Long-term damage is not usually suffered but this is best avoided by pruning in the dormant period. Dieback: Soil borne diseases such as honey fungus and Phytophthora root rot may be troublesome. Waterlogging and flooding can also lead to tree failure. Leaf problems: Birches can be prone to powdery mildews and verticillium wilt. Brown leaves can affect a wide range of trees and shrubs. In hot dry summers birches are prone to yellowing of leaves and premature leaf loss. They recover the following year.